There is so much to see and do in Braemar, and throughout Royal Deeside and the cairngorms, that it can be difficult to decide what to see, and where to start. 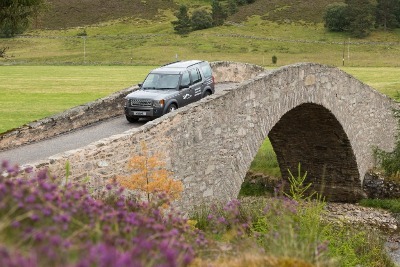 A fantastic way to experience this amazing area is to go on a tour with Braemar Highland Experience. Braemar Highland Experience tours are 5 star rated by Visit Scotland and there's a range of different tours to choose from to suit you. For a unique experience in the Hills you could choose off road Landrover tours. Discover a landscape steeped in history and folklore, learn about land management and the diversity of flora and fauna, absorb our breathtaking views. The tours are at a leisurely pace to ensure that you have the opportunity to enjoy this remote and dramatic landscape. Alternatively if you want something truly unique, opt for a bespoke tour. BHE will not only guide you around the Cairngorms, but will take you to where you want to go and can help you get the most of your trip. Let them do the driving and you can sit back and enjoy a unique experience organised just for you and your interests. If you'd rather get your boots dirty, BHE also offer guided walking - whether low level or high up on the mountain tops of the Cairngorms. All wildlife photos and selected others on the BHE website are courtesy of Ruth Rowlands Photography.